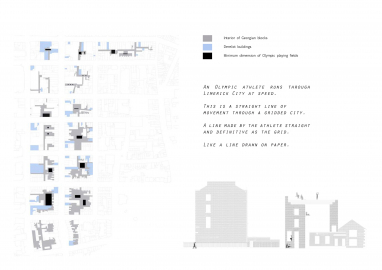 My thesis proposes to build a layer of Olympic infrastructure on top of the city of Limerick. This is an Olympics that works at the scale of the city. The idea being that this infrastructure is built for the city and for its citizens. The sporting infrastructure becomes civic space after the games. It gives back to Limerick. 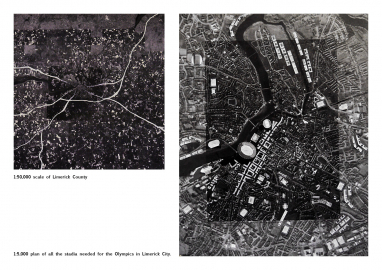 My thesis proposes to build a layer of Olympic infrastructure on top of the city of Limerick. This layer will be built on top of the existing Georgian grid. 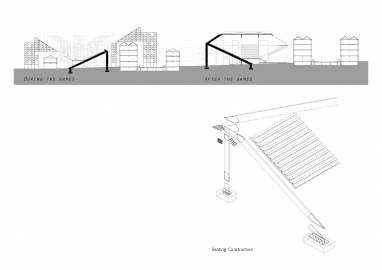 The stadia are built in a way that what will be left behind is civic space, it is for the city and it’s citizens. Stadia will be built in the centre of the city blocks. Infrastructure will step down into the block and continue over the Georgian houses and work down into the city streets. How can the city shape these lines that we draw. It is Limerick city that shapes the Olympics. The Olympic venues are site specific. 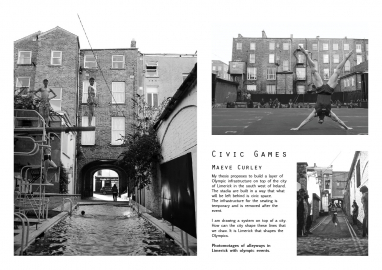 The idea of giving the city another layer, a system of sport brings life and opportunity. Limerick is a city in the south west of Ireland an Olympic venue with a difference. Limerick’s MP Edmond Sexton Pery commissioned an Irish engineer Christopher Colles to design a town extension New Town Pery in 1769. This Georgian grid now makes up Limerick city centre. The way in which Colles designed the grid was to allow for the city to efficiently develop and expand. This has not happened the life of the city has seeped from the core and spread to the edge lands. 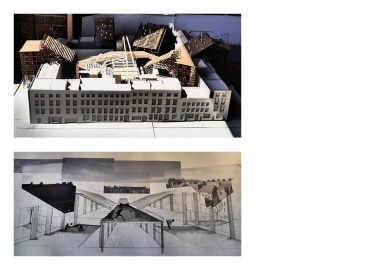 In this thesis the Olympics does not create white elephant stadiums on the edge lands of the city but a system of lines of civic sport interlocked with the fabric of the city. 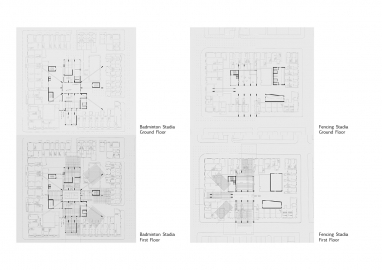 These Georgian housing blocks have different interiors of mew lanes, sheds, garages and car parks. 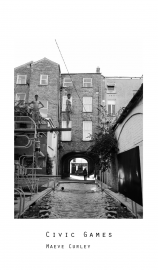 This is un-utilised space with great potential in the very centre of the city. This is the location of an Olympic boxing final? Limerick is a Georgian Grid and the sports infrastructure fits into this grid. The city becomes pedestrianised for the Olympics. Businesses and people living in the blocks become a part of the games and afterwards the arenas are there to be utilised by these citizens. These are not just sport facilities for the elite athlete but for every Limerick citizen young and old. This is a way of expanding a city with a systematic layer of infrastructure. This Olympics breathes life back into Limerick allowing the city to grow and expand to it’s full potential.